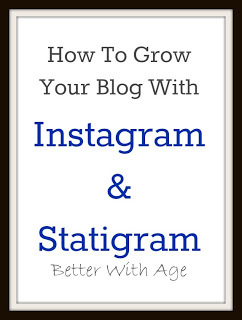 I’m sure by now we’ve all heard of Instagram but have you heard of Statigram? This was new to me too. It keeps stats on your Instagram usage!! How cool is that? Read below for a breakdown. I got it right from the Statigram website. Instagram is more than a social photo sharing tool: it represents a communication revolution. We want to take part in this revolution, giving power users and brands the appropriate tool to foster their IG digital identity. Of course, as Instagram features can not all be accessed through the web, you can find them on statigram in order to browse your photos and share with your community more easily than with your mobile. In brief, communicate through photos more efficiently. If you are already signed up to Instagram, when you make an account with Statigram it will ask you to access your Instagram account and your done! Easy peasy! * contests you can enter via other followers! You can easily get the code for your own widget where you can add it to your blog or Facebook page. You can make them in different sizes and can pick the font color etc. So why don’t you follow me on Instagram via Statigram now? I hope this helps promote your blog and it’s such a fun way to get to know our lovely bloggers!! *Disclaimer: This is NOT a sponsored post, I just like these social media tools! Cool! Was wondering if there were widgets for instagram! Following you now! Thanks so much for the tip! This is something I need to learn more about. I love visiting your site! You’re so talent. Thanks for all the inspiration! Enjoy your day! Having just discovered statigram myself, I’m really excited to see this post! I can easily get sucked into a good analytics program…and I just love the way it is laid out – – almost like an infographic. Thanks for leading me to this post, Jamie! And way to be on top of your instagram game!